Catherine J. 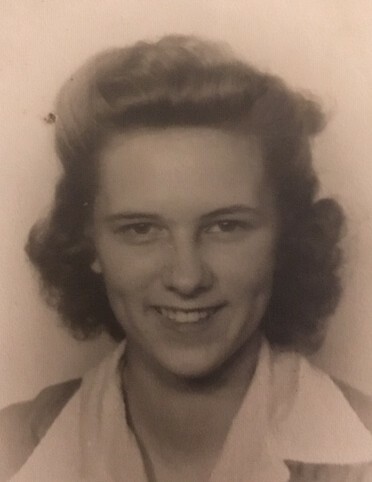 (Mikan) Bisignani, 92, of Greensburg, passed away peacefully with her family by her side on Saturday, April 6, 2019. She was born March 19, 1927, in Crabtree, a daughter of the late Thomas and Mary Bencetich Mikan. She was a member of Blessed Sacrament Cathedral in Greensburg and a graduate of Greensburg Salem High School Class of 1945. Catherine was employed her junior and senior year of high school by Arch and Jessie Kline Insurance. After graduation, she was employed as a secretary in the school office of Superintendent Dr. Samuel L. Bulick. Her services stopped after 5 1/2 years due to her marriage and the birth of her daughter a year later. In addition to her parents, she was preceded in death by the following siblings, Helan Mikan, of Crabtree, Barbara Odorich, of Greensburg, Margaret Birchak, of Crabtree, Sister M. Matilda Mikan, O.S.B., of Bristow, Va.; Stephanie Machuga, of Greensburg, John McCann, of New York, Thomas McCann, of Philadelphia, James McCann, of Seattle, Wash., and Andrew Mikan, of Greensburg. She is survived by her loving husband of 68 years, Robert A. Bisignani. She was his wife, mother of his children and secretary in his C.P.A. office. in addition to her husband, she is survived by her loving children, Mary Anne Tumilty (husband, James Tumilty), Anita Gallagher, and Robert J. Bisignani. Grandchildren include Dr. Kelly Wright (husband, Jon Wright), of Virginia Beach, Va., James P. Tumilty, of Greensburg, and Kevin Gallagher (wife, Mairim), of Arnold, Md. Great-grandchildren include Nathan Wright, Cate Wright, Emily Wright, James Wright and Isabella Wright, of Virginia Beach, Va., and Anabella Gallagher Ramos, of Arnold, Md. Relatives and friends are invited to celebrate the life of Catherine from 4 to 8 p.m. Tuesday in the CLEMENT L. PANTALONE FUNERAL HOME INC., 409 W. Pittsburgh St., Greensburg, PA 15601, 724-837-0020. Parting prayers will be held at 9 a.m. Wednesday in the funeral home, followed by a funeral Mass to be celebrated at 9:30 a.m. in the Blessed Sacrament Cathedral. Interment will follow in Greensburg Catholic Cemetery. Memorial donations may be made to St. Anne Home, 685 Angela Drive, Greensburg, PA 15601. Catherine's family has entrusted her care to the Pantalone Funeral Home Inc., Greensburg. To share your memories and photos, offer your condolences, or for directions, please visit us at www.pantalone.com, Natale N. Pantalone, supervisor.